Looking for deals in Bratislava? APLEND CITY Hotel Perugia is a newly refurbished hotel located in the pedestrian zone of the historic Old Town of Bratislava. Great location.Room very clean and the breakfast was tasty. Virgo Residence is housed in new building that was built in 2017. It offers modern accommodations in 20 apartments, only 820 feet from the Old Town. All was good. The night teceptionist was so nice and helpful. LOFT Hotel Bratislava is a newly opened 4-star hotel located in Bratislava city center, within a walking distance to the historical Old Town and with an attractive view to the garden of the... The lovely restaurant with food. Breakfast was superb. Quiet room on the park. A noble modern interior welcomes you in the new Avance Hotel in the center of Bratislava. It is close to the National Theater and the Danube and offers free WiFi in the entire hotel. Excellent location, friendly staff and surprisingly big rooms. Set in a historic building dating back to the 13th century, Radisson Blu Carlton Hotel is is located directly in the city center of Bratislava. Great location. Spot-on facilities (very clean room with a lot of space), international standards. 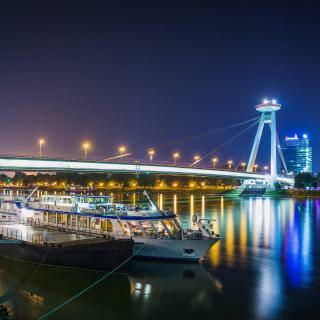 The Grand Hotel River Park is located in downtown Bratislava, directly on the banks of the river Danube and only a 35-minute drive from Vienna International Airport. Everything. Amenities are top notch and the service is excellent. Opened in 2013, Lindner Hotel Gallery Central houses an à la carte restaurant and a 13th-floor Outlook Bar & Lounge with views of Bratislava Castle, and is directly linked to Shopping Center Central. When you travel to Bratislava, it is required to stay at this hotel. On the edge of Bratislava's pedestrianized Old Town, the Austria Trend Hotel Bratislava offers free wireless internet in all rooms and suites, a sauna and fitness facilities. Great location and great breakfast. Very comfortable and enjoyable stay. Set below Bratislava Castle the Ibis Bratislava Centrum is only a 5-minute walk from the historic quarter. Rooms have air conditioning and breakfast is served from 4am to 12pm. The best place and the best stuff in hole Bratislava with the best location everyting is in 5 min. Falkensteiner Hotel Bratislava offers a stylish atmosphere unparalleled in the Slovak capital. It enjoys a central location close to the castle and the old town with traditional bars and cafés. Perfect location! Five minute walk to the old town hall, gate, and Cathedral. Located 328 feet from Bratislava’s Main Train Station, Hotel Matyšák offers free parking and spacious rooms with free LAN access. The city center is only a 15-minute walk away. The staff was kind. The breakfast was great. Hotel Saffron is located in the center of Bratislava, just a 15-minute walk from historic Old Town. Great hotel with nice location. Food was great.room was clean. Service and staff was great. Offering a spa area with an indoor pool, NH Bratislava Gate One is located next to the Avion Shopping Park and 1.2 mi from Bratislava Airport. Excellent, spacious, clean and comfortable. The modern Sheraton Bratislava Hotel offers air-conditioned rooms and is located opposite to the New Slovak National Theater, a 10 minutes' walk from the historical center. Being a new property, and situated within the biggest mall in bratsilava, it made our life easy. Located in a quiet residential area of Bratislava city and the city's old town and historical monuments reachable within a 15-minute walk, Mama's Design & Boutique Hotel offers en-suite... Apreciated The staff's helpfulness and friendliness. Mercure Centrum is a luxury designer hotel in the heart of Bratislava, a few minutes walk from the train station and 4 miles from Bratislava International Airport. I really liked the manner and helpfulness of the staff. In quiet natural surroundings just a 10-minute drive from the center of Bratislava, Barok Hotel and Apartments features a modern international restaurant with a bar, terrace, and children’s... Everything. I was surprised, that there is reception open also in the evening. Luxury Garni Hotel Brix is located in the green residential district of Kramáre, 1.2 mi from the historic center of Bratislava. It offers free private parking and free internet access. I really enjoyed my stay at Hotel Brix. Hotel SET is located in Bratislava’s Nové Mesto district, next to the Ondrej Nepela ice hockey stadium and the National Tennis Center. Clean. Perfect breakfast. Location. Nice staf. How much does it cost to stay in a hotel in Bratislava? On average, 3-star hotels in Bratislava cost $73 per night, and 4-star hotels in Bratislava are $108 per night. If you're looking for something really special, a 5-star hotel in Bratislava can be found for $200 per night, on average (based on Booking.com prices). What are the best hotels in Bratislava near M R Stefanik Airport? Travelers who stayed in Bratislava near M R Stefanik Airport (BTS) have said good things about Aviator Garni Hotel Bratislava, Vienna House Easy Bratislava, and NH Bratislava Gate One. Which hotels in Bratislava have nice views? River View Residence Bratislava, Botel Dunajský Pivovar, and Lindner Hotel Gallery Central got great room view-related reviews from travelers in Bratislava. How much is a hotel in Bratislava for tonight? On average, it costs $64 per night to book a 3-star hotel in Bratislava for tonight. You'll pay around $94 if you choose to stay in a 4-star hotel tonight, while a 5-star hotel in Bratislava will cost around $174, on average (based on Booking.com prices). How much is a hotel in Bratislava for this weekend? The average price per night for a 3-star hotel in Bratislava this weekend is $128 or, for a 4-star hotel, $168. Looking for something even fancier? 5-star hotels in Bratislava for this weekend cost around $318 per night, on average (based on Booking.com prices). Which hotels in Bratislava are good for couples? These hotels in Bratislava are highly rated by couples: Marrol's Boutique Hotel, LOFT Premium & Wilson Palace, and Danubia Gate. 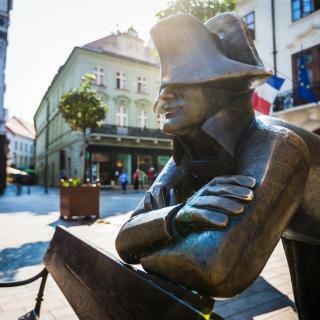 Which neighborhood is the best one to stay at in Bratislava? Stare Mesto, Petrzalka, and Ruzinov are popular with other travelers visiting Bratislava. 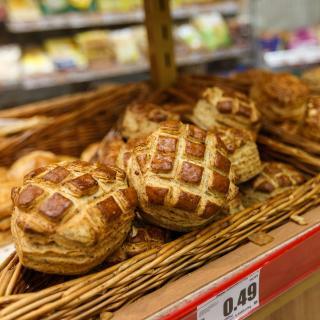 Which hotels in Bratislava offer an especially good breakfast? For hotels in Bratislava that serve highly-rated breakfasts, try LOFT Hotel Bratislava, LOFT Premium & Wilson Palace, and Marrol's Boutique Hotel. Which hotels are the best ones to stay at in Bratislava? 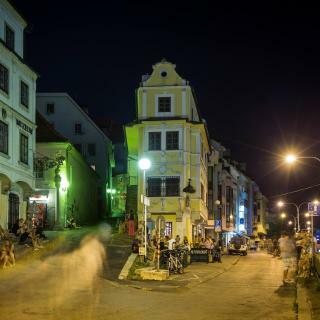 Marrol's Boutique Hotel, LOFT Hotel Bratislava, and Danubia Gate are some of the popular hotels in Bratislava. Which hotels in Bratislava are good for families? Many families visiting Bratislava loved staying at Roset Boutique Hotel, Marrol's Boutique Hotel, and Danubia Gate. What are the best hotels in Bratislava near Zlate Piesky Shopping Palace? Some of the best hotels in Bratislava near Zlate Piesky Shopping Palace include Tempus Club Garni Hotel, Penzion Pohodička and Hotel Color. 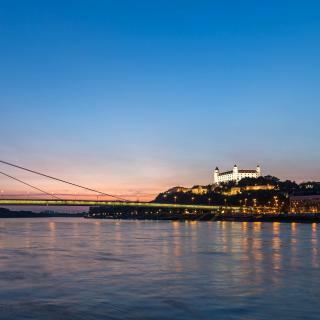 Charming and compact Bratislava is the world’s only capital city bordering two countries, Austria and Hungary, and centers around the beautiful Danube River. South is the modern city and a peaceful forest, but the real Bratislava attractions are over Novy Most (New Bridge), an impressive structure with a UFO-like pylon. The castle on a rock overlooking the Old Town offers the best views of it. The rock itself has a Jewish cemetery and a literally underground club. Across the street, St. Martin’s Cathedral was the coronation site of past Hungarian kings. The cobbled streets behind are lined with outdoor restaurants and bars. 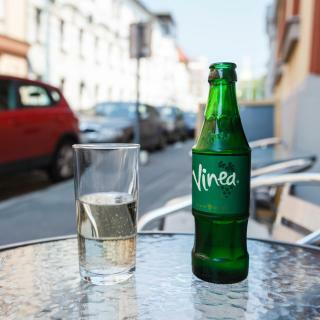 The city’s specialty is treska, a cold cod salad, washed down with white wine from the nearby Small Carpathian mountains. The main square is Hlavne namestie, home to pastel-colored buildings, a 14th-century town hall housing the city museum, and the Bratislava Christmas markets. Hodzovo namestie square features the Peace Earth sculpture and Baroque Grassalkovich Palace, the presidential residence guarded by the Slovak National Guard. Across the park is the Archiepiscopal Palace, seat of the government. All around are many Bratislava hotels, B&Bs and apartments available on Booking.com. Before heading to Bratislava Airport, visit Kamzìk TV tower, whose revolving restaurant and observation deck offer magnificent city views. Bratislava is a nice city for a short stay. Bratislava is a nice city for a short stay. You can walk around the downtown area, enjoy the various cafes and restaurants. Also, there is a nice promenade around the Danube river. And it's worth visiting the Bratislava Castle. I like coming back to this lovely little city. The Castle Museum was a good hike, but very interesting. The Castle Museum was a good hike, but very interesting. The Inner City Old Town was lovely with good restaurants. The people were all welcoming and pleasant. My family regretted that we allowed only two days for our visit. We especially enjoyed the restaurant “Tulip” in the Roset Hotel. Another good restaurant with local specialities was in the Perugia Hotel. Prices in Bratislava were very affordable. Good choice for a 2-day city break. Good choice for a 2-day city break. All sites to visit are at walking distance. Great selection of restaurants. I would suggest getting a bit away from the city centre for cheaper a d more authentic Slovakian cuisine. Great city. IF you loof for a real capital, not touristic (like Amsterdam or Paris), beautiful, cosy and cheap, this is the place to go to! In addition, Pressburg still has mainly Slovakian inhabitants, unlike all other capitals. This time was a first time when I reach Bratislava castle. This time was a first time when I reach Bratislava castle. Quite impressive building, but I'm not understand the reasons to paint it up in white! According me when it was in red (clay bricks color) it was more beautiful. Bratislava fortress and old part of the town are really pretty. Eurovea shopping mall and quay are great for shopping and having a good meal by the river. Also you can park your car there 3h for free at workdays, and 5 hours on weekend. From there you can walk few minutes to the old town, pedestrian zone and fortress. TV tower has a restaurant on top which turns around 360° so you can enjoy the whole view while having a meal or just a drink. There is a similar restaurant on SNP bridge, with a great view also. Location, location, location. The hotel room was modern as is the rest of the hotel. The staff were very friendly. The rooms were spotless clean with seperate toilet and bathroom in each room. We stayed for one night and were very lucky to have chosen this hotel. It is located in the old town, which is pretty much the only part of Bratislava you want to see in a one day trip. Bars and restaurants all in the immediate vicinity. Short walking distance from all main tourist attractions too. The studio apartment was very spacious and fully equipped! Location was perfect, just 3mins walk to the central bus station, 20mins walk to old town and very convenient. The apartment was well kept in excellent condition like it was brand new and the owner Filip was very friendly and accommodating! I would highly recommend this place to stay when you are in Bratislava and want a homey but modern place to stay. They even made us cookies when we checked in! The location is perfect, very close to the city centre. It's five minute walk to the Danube promenade and from thereon it's 15 minutes to the centre. 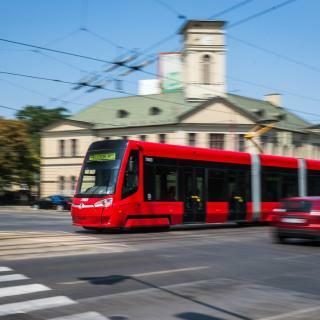 If you want to go by tram, the tram station is right in front of the apartment. Regarding facilities, it has pretty much everything you need. Parking is right in front of the building and most importantly it's free. I would definitelly choose this apartment on my next visit to Bratislava. Perfect location! Five minute walk to the old town hall, gate, and Cathedral. Great view of the castle, and eight minute walk to tour it. Staff was all very friendly and accommodating. Excellent WiFi. Breakfast had a great selection and fully stocked bar for late night drinks/ snacks. Very close to local restaurants and sights. 6th floor offered a spa and sauna. Definitely would recommend this hotel and would stay here again! Owner Damien met us when we arrived. The check in was quick and efficient and he was very helpful. Lots of Bratislava tips were offered up as we checked in. We needed our car valeted after driving distance with children and if was all taken care of. The whole hotel has great views of the river so it really lives up to the name. Room had a great feel and was very spacious. Quick walk to the castle and to the old town centre. Only 15 minutes walk from Railway Station and the Airport Bus. A similar distance to the Old Town and Danube. The large hotel has very friendly staff throughout and the welcoming drink along with tea-making facility in the room was much appreciated. The central heating was fantastic. Rooms very reasonably priced. Bratislava is a lovely, friendly city with great sights including the Castle overlooking the Danube(pictured). Loved the hip design. The apartment is also spotlessly clean, and quite spacious, with a comfortable bed, nice kitchen, and the use the owner’s vinyl record collection and turntable. The location is excellent: adjacent to he old town in a leafy quiet neighborhood. The owner was incredibly responsive, friendly and helpful. I’ve rented apartments in Bratislava for years. Dobrobeat was by far the best — and the best value. This is smaller but new hotel in suburban area of Bratislava, however not to far (driving) from old town. Room was spacious and clean, bed was comfortable and bathroom was clean as well. Hotel staff speak English and reception works 24/7. Besides parking places outside there is also a hotel garage in the complex. Excellent location inside the old town. 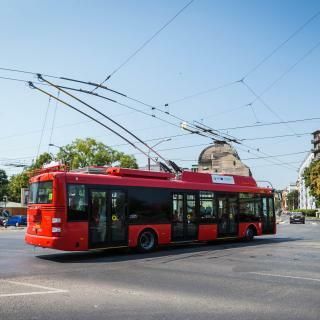 No need to use public transports to meet almost everything in Bratislava. Lots of restaurants, bars and icecream shops nearby, including two of best restaurants to try slovakian food with good prices. The room was huge and with modern decoration. Good breakfast too. Staff were lovely. We was able to check in at 14:30 as expected. Room was great size, clean with nice ensuite bathroom. Great location to castle for views over City and the old town. Had a wonderful 24hr stop over in Bratislava. Highly recommend Fach for coffee and salad. And the Grand Cru Wine Gallery. Hostel is nice and very near old town city centre. Room was clean and wifi signal is good. We like our stay here. We also had a free parking infront of hostel. liked everything about the place. it is right in the middle of the old town, it has spacious rooms, comfy beds. it's my favorite hotel in bratislava. Good location, easy to reach Bratislava Old Town, easy to find the hotel and park the car in the garage. The room was very comfortable. Great location Right in the middle of old town Bratislava. Next to nice bars and clubs. The rooms were clean and shower was nice. The unique style of the hotel and it's superb location just ideal for exploring the old town of Bratislava. The hotel is very close to the old town and to the train station is 1km (there is a bus also). It’s not far from the airport, but will still require some walking. Breakfast is really good.